Indoor soccer during the winter is played at The Field in Lansing on synthetic bladed turf that is enclosed by netting from the floor to the ceiling. The program is open to all players under nineteen years old. The season is divided into two 10-week sessions that run from early-November through mid-January and late-January through mid-April. A team may participate in one or both sessions. Hour-long games (usually one per week) are played on weekends. A team usually consists of ten to twelve players. The cost for each session, which includes league and referee fees, is split among the players on a given team. We generally consider winter indoor soccer a time for training, so indoor programs can be for training only, training and games, or training and tournaments. Participation in this program is done on a team-basis. If interested, please contact your fall or spring travel coach for more information. 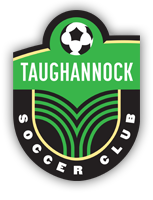 Serious soccer enthusiasts also have the opportunity to try out and play for teams that participate in Premier leagues of central and western New York, such as those formed by TCUnited, One+ Soccer, WAZA FLO soccer club, and through the TC United + WAZA Academy program. These programs all play and train in Lansing and Ithaca, but do offer great opportunities for our players to play/train indoors at the Field during the winter months. For more information on Winter Indoor Competitive Soccer Program at the Field regarding participation, and coach and manager responsibilities, click here.